This recipe was a request from my wonderful friend Anna – and it just so happens that it’s her birthday today. When Anna came to visit early last year, we spent quite a bit of time exploring San Francisco together. We would look up a nice cafe/restaurant/store in a neighborhood to have at least one place that we definitely wanted to see, and then we’d just wonder around for a couple of hours and discover the area. This has always been my favorite way to see a city, and it’s especially worthwhile in San Francisco. You just never know what kind of quirky store, coffee shop, restaurant, artist studio, etc. you might come across. 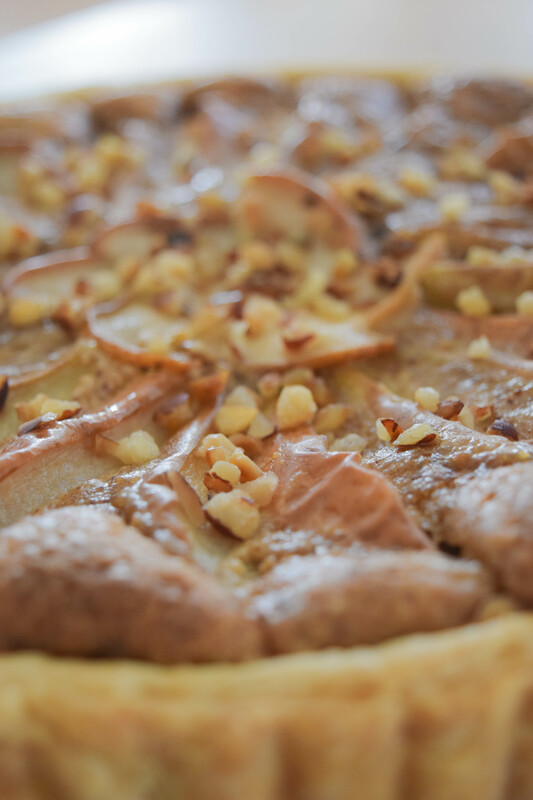 I have since promised Anna that I will create a pear tart recipe for her. While I don’t remember exactly what the tart from Mission Pie tasted like, I am really happy with this version. I guess it’s the perfect reason to go pay them another visit soon. So here it is, my lovely. I hope you like it and that you are having the most amazing birthday! For the crust, I decided to go with the same recipe that I used for my Summer Berry Galette. 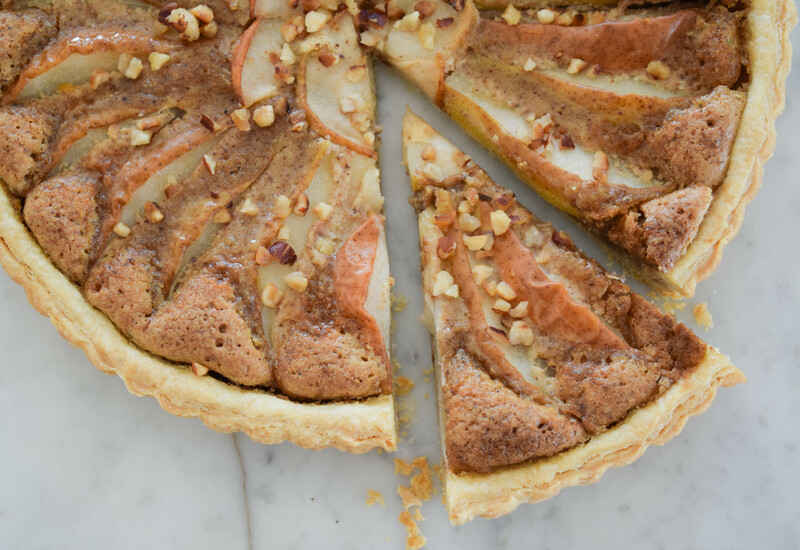 It is deliciously buttery, flaky and tender, and the perfect base for this tart. 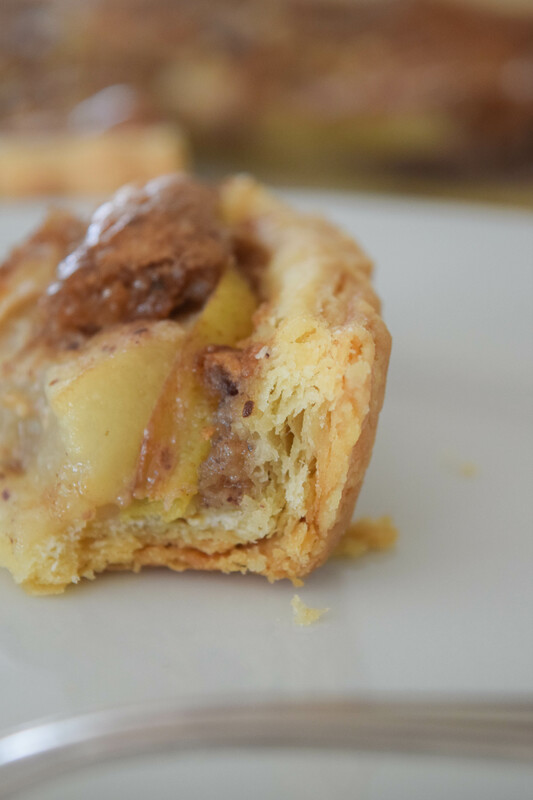 The only mistake I made with this tart was that I forgot to bake the crust blind before adding the filling, because I was rushing to get it done before dark. It still came out great, but I definitely recommend baking the crust blind first. 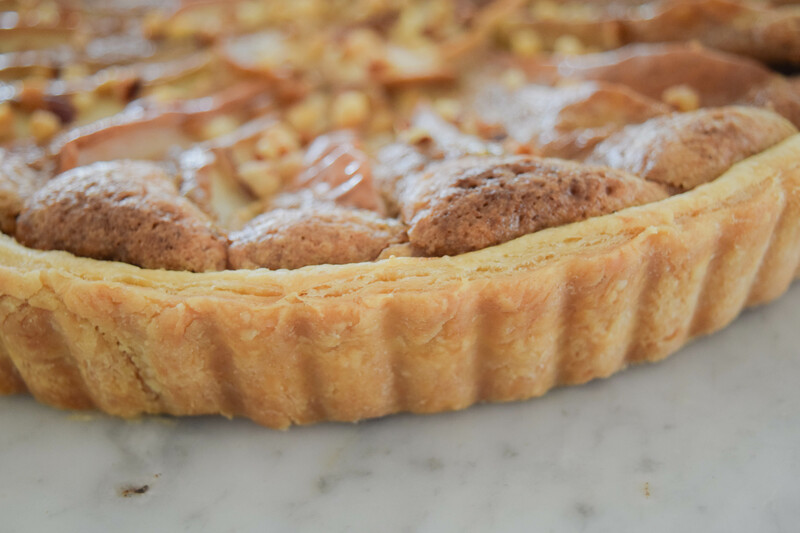 If you want a more delicate flavor, you can substitute the hazelnuts with almonds. If you don’t have a food processor or spice grinder, you can buy pre-ground hazelnuts or almonds instead. Place the water in the freezer so it will be nice and cold once you are ready to use it. 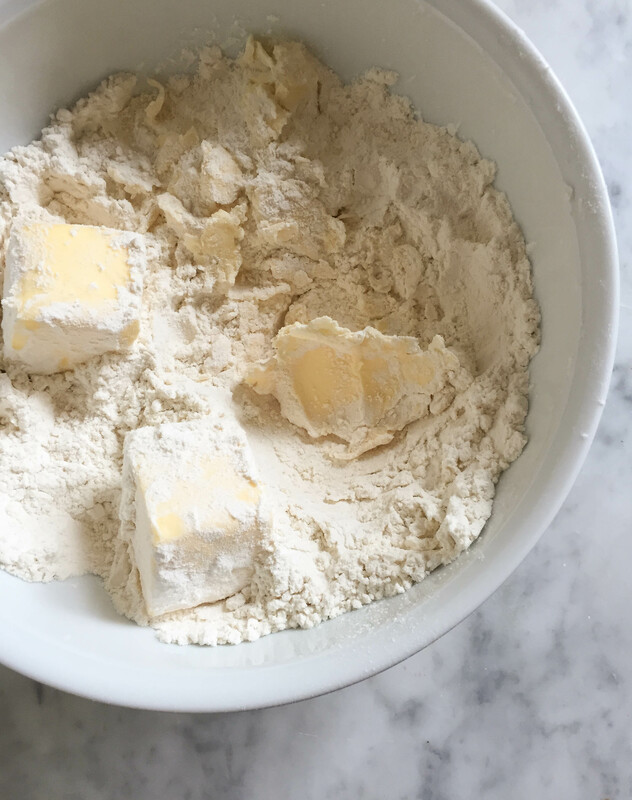 Place the flour in a large bowl. Cut the butter into large cubes (about a cubic inch in size) and pinch off large, thin butter flakes using your fingertips, until all the cubes have been turned into flakes. Add salt and ice-cold water and stir the mixture very gently and carefully. As soon as all the water has been absorbed and the dough starts to become sticky and cohesive, start folding it over onto itself several times until all the crumbs have been incorporated into the dough. While the dough is resting, preheat the oven to 400°F. Butter and flour the tart pan. Toast the hazelnuts in a pan, stirring occasionally. Be careful, it takes a while for them to brown, but once they get going, they can burn very quickly. Set aside to cool. 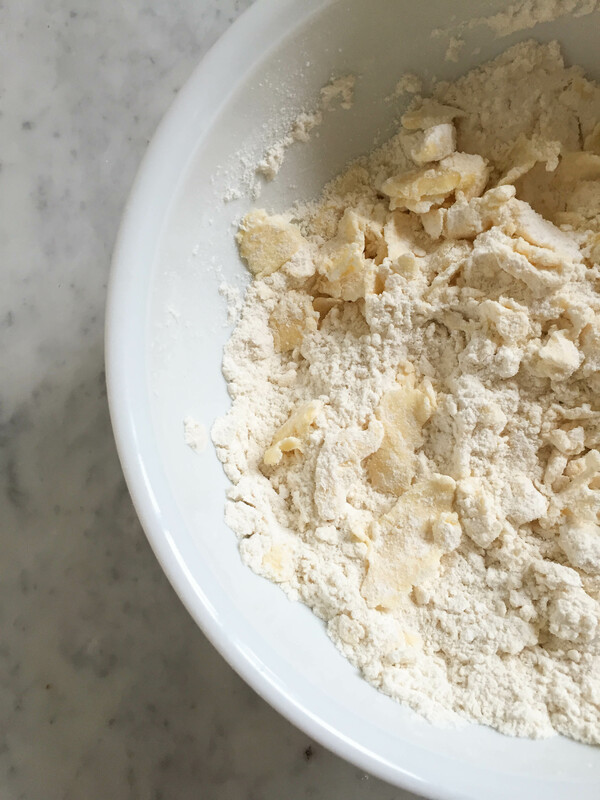 Take the dough out of the fridge and place it on a lightly floured surface. If it seems extremely solid and cracks very badly when you try to roll it out, let it sit at room temperature for a couple of minutes to allow the butter to soften a little bit. Roll the dough out to the desired thickness, trying to create a round disk. Give it a quarter turn after each roll to prevent it from sticking to the surface. If you notice that it starts to get sticky, gently lift the sides up a bit, sprinkle a little bit of flour under and on top of the dough, turn (spin, not flip) it to distribute the flour, and keep going. Carefully roll the dough onto a rolling pin so you can easily transfer it to the tart pan without ripping or stretching it. Gently unroll the dough into the pan, then carefully press the dough into the bottom edges. Make sure that the dough has an even thickness throughout to ensure that it will cook evenly. Remove any excess dough. 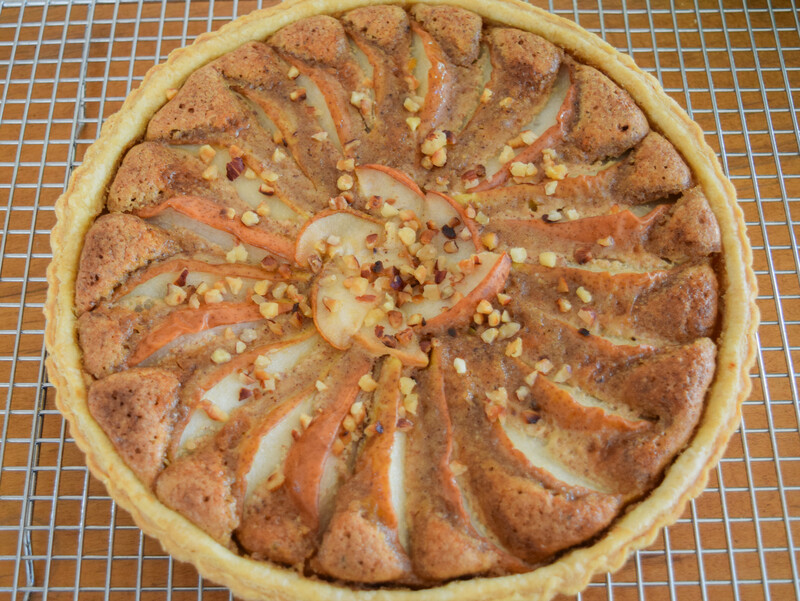 You can either use scissors or roll the rolling pin over the edge of the tart pan. Poke the surface of the dough with a fork to prevent it from rising unevenly during the baking process. Bake blind at 400°F until the crust starts to turn golden, about 20 minutes. Set aside about 10 g of the chopped hazelnuts for later. Grind the remaining nuts in a food processor or spice grinder. In a medium-sized bowl, combine the ground hazelnuts, sugar, butter, egg, and salt with a fork until smooth. Wash and dry the pears, remove the core and stem, and cut them into slices. 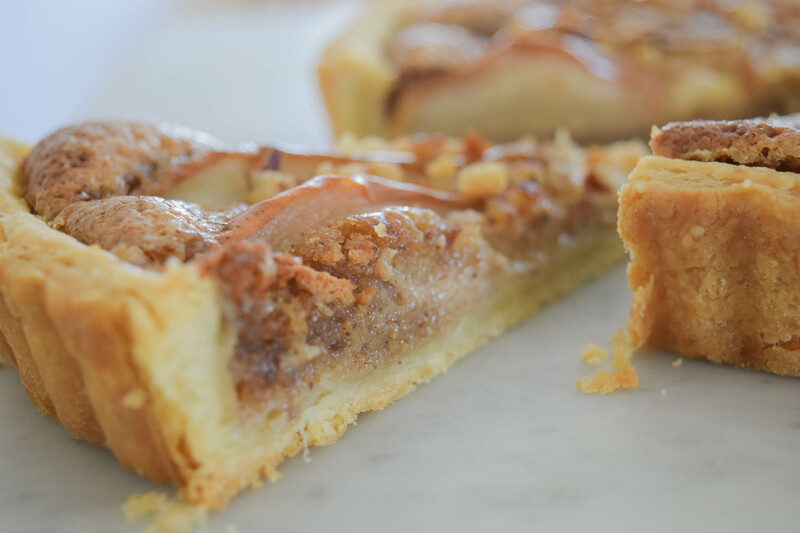 When the crust is done, spread the frangipane on the crust. Top it with the pear slices. 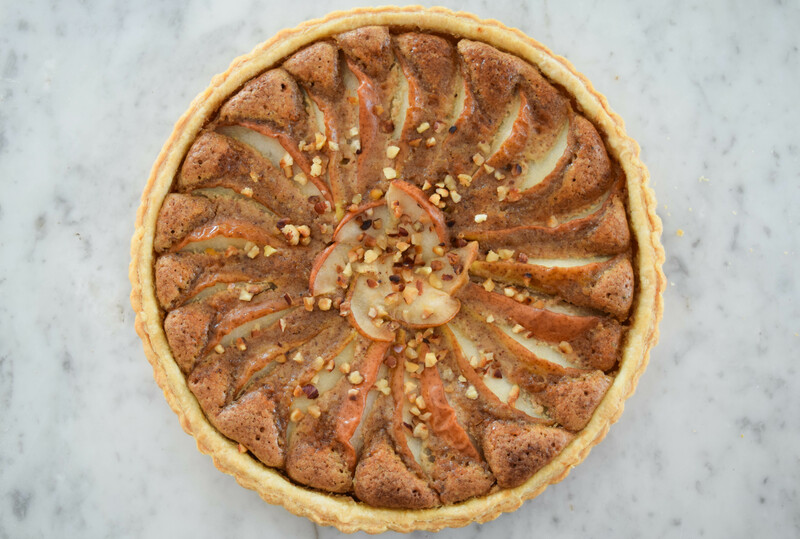 Bake at 350°F until the frangipane has solidified and is golden brown, about 20 minutes. 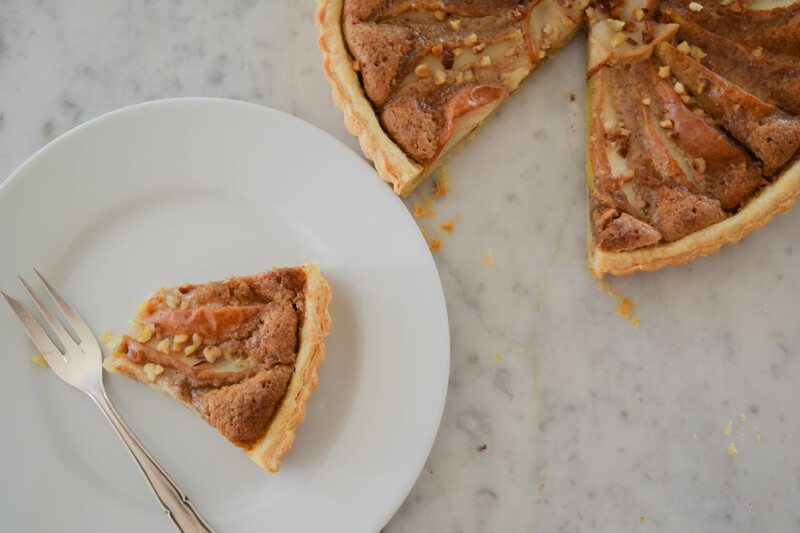 When the tart is done, remove it from the oven and immediately brush the pears with apricot jam to give them a beautiful sheen. Sprinkle with the remaining chopped hazelnuts. Remove the tart from the pan and transfer it to a cooling rack. Serve on its own or with whipped cream or vanilla sour cream.